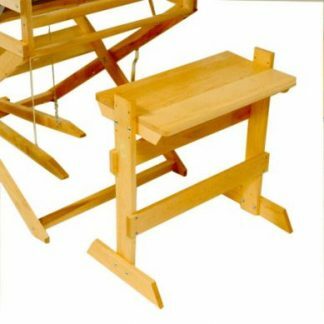 All Leclerc benches are made out of maple (natural finish), to match the looms. 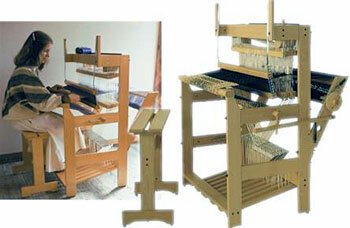 They are comfortable and practical, and fit under the breast beam of the loom when not in use. 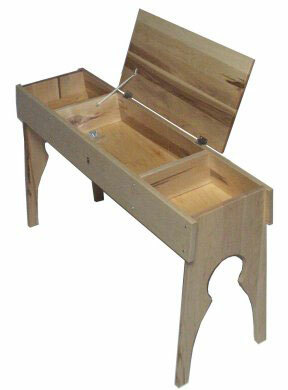 Height: 26", Length: 44". For Nilus II, Colonial, Nilart Kebec and Weavebird loom. Height: 26″, Length: 44″. For Nilus II, Colonial, Nilart Kebec and Weavebird loom.